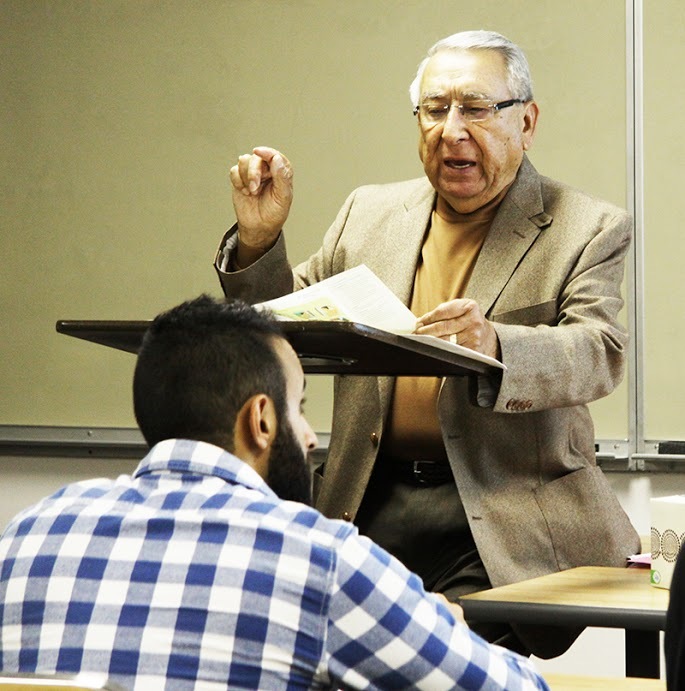 Pedro Córdova, an OCCC professor who loved his students and teaching, has died after a brief illness. “Students have always been very courteous to me and they know that I love them and would do just about anything that I could do to help them along,” the Spanish professor told the Pioneer in a story that ran Nov. 1. Córdova, 80, died at 11:55 p.m., Thursday, Dec. 5, at Mercy Hospital, according to the Mount St. Mary’s Catholic High School website, where Córdova served as principal and professor for 38 years. Córdova taught at OCCC for 41 years. Spanish professor and friend of Córdova’s, Ginnett Rollins, said he died in his sleep in the company of his loved ones. Viewing is scheduled at 4 p.m. Monday, Dec. 9, at Vondel L. Smith & Son Mortuary, 4000 SW 119th Street in Oklahoma City. The wake is scheduled at 7 p.m. Tuesday, Dec. 10, at St. Mark the Evangelist Catholic Church, 3939 W Tecumseh Road in Norman. The funeral is scheduled at 11 a.m. Wednesday, Dec. 11, also at St. Mark the Evangelist Catholic Church. The Córdova family has asked that donations to be made to Mount St. Mary’s in lieu of flowers in honor of Córdova’s memory. The Pioneer Online will post updates as they become available.